It’s about being ready. When the unexpected happens – as it always does – it’s about being prepared, camera in hand, to capture that moment. 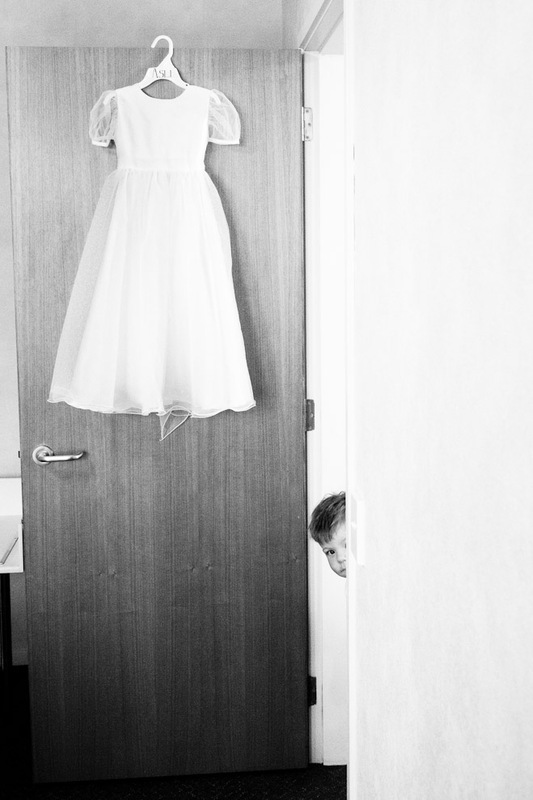 Continuing our theme of ‘capturing the moment’, today’s image features the curious brother of the flower girl, peeping around the corner to uncover what that strange man with the camera is doing. He turned an otherwise average photo of a dress hanging on a door into something interesting, curious, cheeky. A great moment.